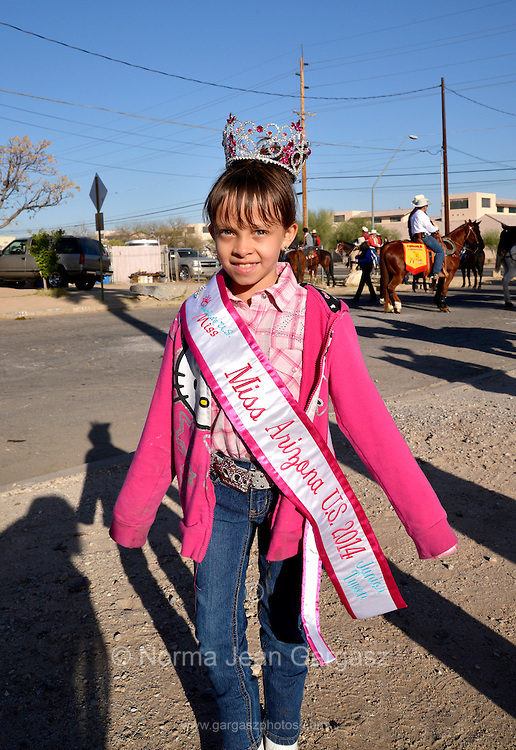 Gabriela Bustillos, 9, Miss Arizona in the Junior Tween Division, strikes a pose before joining the Tucson Rodeo Parade, the longest non-motorized parade in the nation. This 89-year-old event occurs each February in conjunction with La Fiesta de los Vaqueros, the Tucson Rodeo. The event draws over 150,000 spectators in southern Tucson.